Sempervivum Arachnoideum is one of my most favorite succulents. 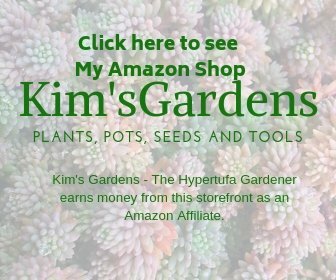 It is a perfect mat-forming and cascading plant for my hypertufa planters. It will form a tight mat with the cobweb-like white or gray hairs growing between the points of each hen and chick, even reaching to attach to other chicks in the mat. The arachnoideum is hardy in my zone 6 in Ohio, so I can grow it outside all year long and leave it in the outdoor hypertufa garden planters and not worry about the freezing cold temperatures. I do need to protect it from being over-watered. 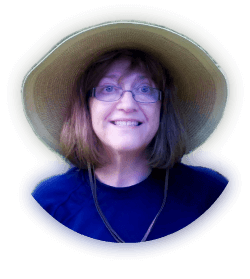 Through the summer, it is very drought tolerant and basically will live just with the summer rains. 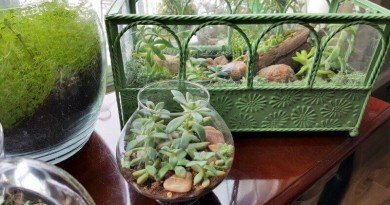 If we go long periods without rain, I will water it, but otherwise it is almost a care-free plant as are most of my succulents and sedum. 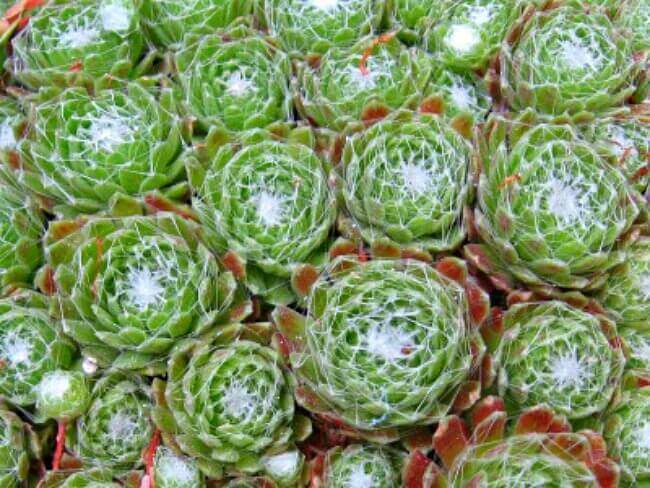 Just as with all sempervivum, the mother “hen” will live for a few years and produce many offsets or “chicks”. Eventually she will send up a stalk and flower, after which she dies. In the S. arachnoideum variety, the mother hen is not usually larger than the chicks so there is a more uniform size across the mat which forms. 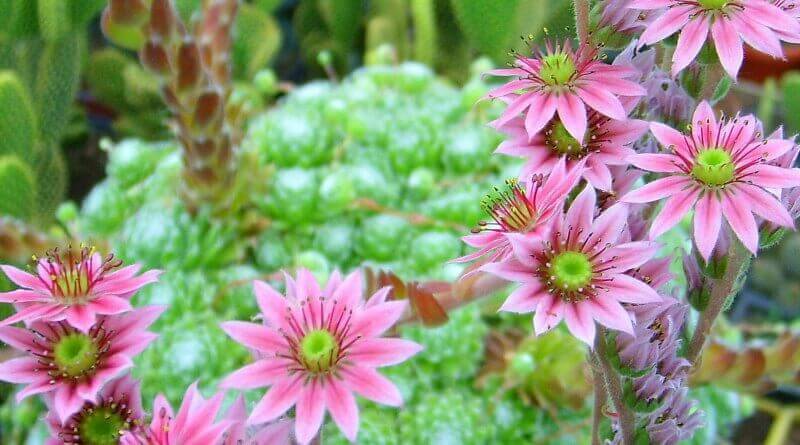 Sempervivums are monocarpic which means they will flower just once and then they die. For the most part, they live for a few years, so there is always a supply of them if they are happy. 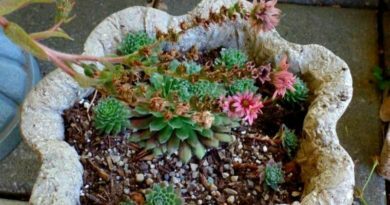 The worst thing for a sempervivum is to be waterlogged, so it is best to plant them in a mound of soil which is mixed with perlite or coarse sand. I use a lot of poultry grit for my soil mixture, and also to top dress the containers. 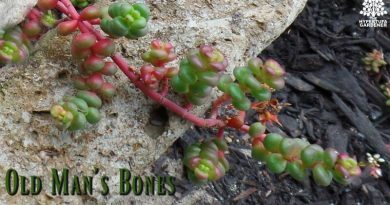 Using gravel or poultry grit or even glass marbles is great for any sedum or succulent. 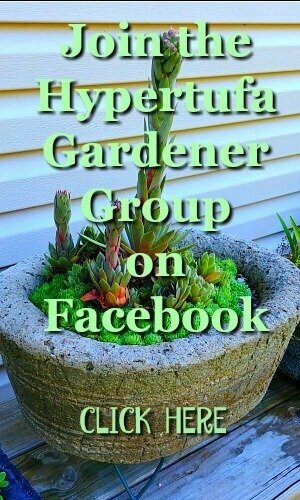 This way the lower part of the plant is kept above the soil level supported by the gravel or grit. The leaves or petals do not want to be in water-logged soil, so with the top layer of gravel, you can be sure it will drain away from the crown of the plant. And you can color co-ordinate with your container and the coloring of the plant itself..Win win! Sempervivum are really nice in any kind of container, but I like them for my hypertufa pots and troughs. They don’t need to be planted in deep containers because they naturally grow in mountain crevices and between rocks. 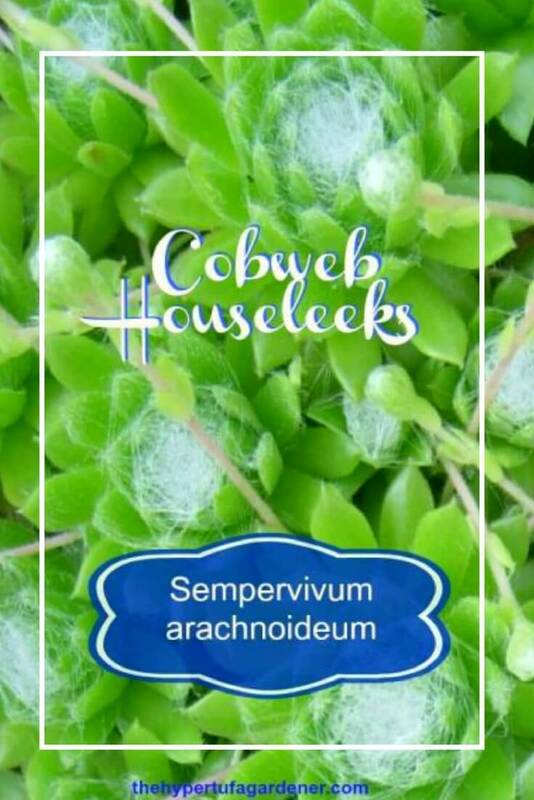 Do you grow the arachnoideum? Don’t you just love it! Photo credits: Thank you to World of Succulents for allowing me to use these photos.